My maiden name was Dyche. It is an unusual name and by the time my schooldays were over, I had become all too accustomed to the fact that nobody could pronounce it and the mispronunciations were mischievous at best, malicious at worst. It would have helped had there been at least one other pupil in the entire population of Spondon Park Grammar School to share (and therefore dilute) the embarrassment of having a peculiar name but no such luck! Nowadays, the trend is for women to keep their maiden name. It is tempting to think that I married at the age of 24, partly because of a determined effort to offload mine. Life took its predictable (and sometimes unpredictable) course and when my father died in 2008, the surname as far as I knew, became obsolete. I returned to Derbyshire, moved to Borrowash and by 2011 was directing the Unexamined Lives project. It was then that I made the unexpected discovery that far from being ‘the only Dyche in the village’, Borrowash had been home to generations of the name-bearers, stretching back to the 18th century. When I had dismissed twinges of churlish resentment at the fact that none of them had been around to attend Spondon Park Grammar School, I became intrigued. Were they relatives? If so, why didn’t our side of the family, (originally hailing from Ashbourne) know them? Had there been a family rift, passed on by successive generations and if so, about what? This was the cue for Unexamined Lives’ resident genealogist, Keith Oseman to undertake some preliminary research. He uncovered the existence of my illustrious ancestor, Thomas Dyche; schoolmaster and lexicographer born in Ashbourne who died in 1733 or thereabouts. Thomas wrote a number of books including ‘New General English Dictionary’ and also the first book published in the English language in Asia. Keith made other discoveries including the fact that my great grandmother was a Maria Trueman from Ireland rather than the Lucy Byatt of family supposition but there was nothing to link us with the Borrowash Dyches. The Derbyshire Records Office holds a ‘Dyche file’, handed over in the 1990s by Professor Jack Rutter. Professor Rutter died in 2010 after a distinguished career as a botanist and ecologist at Imperial College London. What could his interest in the Dyches from Derbyshire possibly be? We were intrigued to discover an album of photographs inside the file entitled ‘Dyche Family Photograph Album.’ Consisting of 177 black and white photographs on 44 of the 48 pages, the images that are dated cover the period 1928 – 1939 and the album was donated to the Record Office in 1981 although the name of the donor is (by policy) confidential. Just five of the photographs are signed: ‘Madeleine Dyche’, ‘Maisie’, ‘Mother’, ‘Peter’, ‘Eric’’, ‘Madge’, ‘Doris’, ‘Maurice’, ‘Agnes Dyche’, ‘A. H. Dyche’, ‘A. D’ and the photographs are collectively a series of happy family and friendship groups enjoying a variety of fashions and locations. My immediate impression was that these Dyches were determined and enthusiastic holidaymakers and were not in the habit of stinting themselves. Whether sporting plus fours, well cut blazers, evening dress or elegant frocks and hats, they knew how to have fun. Skegness was a favourite resort (closely followed by Blackpool) and the people in the album were also extremely partial to a cruise. We see them abroad in Rhodes, Capri, Malta, Gibraltar, Pompeii, Athens and Rome and in England they appear as a Derbyshire version of ‘Brideshead’s gilded youth, content to trail gracefully on the river in punts and reclining in attractive garden settings. I could find little to connect these glamorous Dyches with my relatives, but could they be the Borrowash bearers of the name? 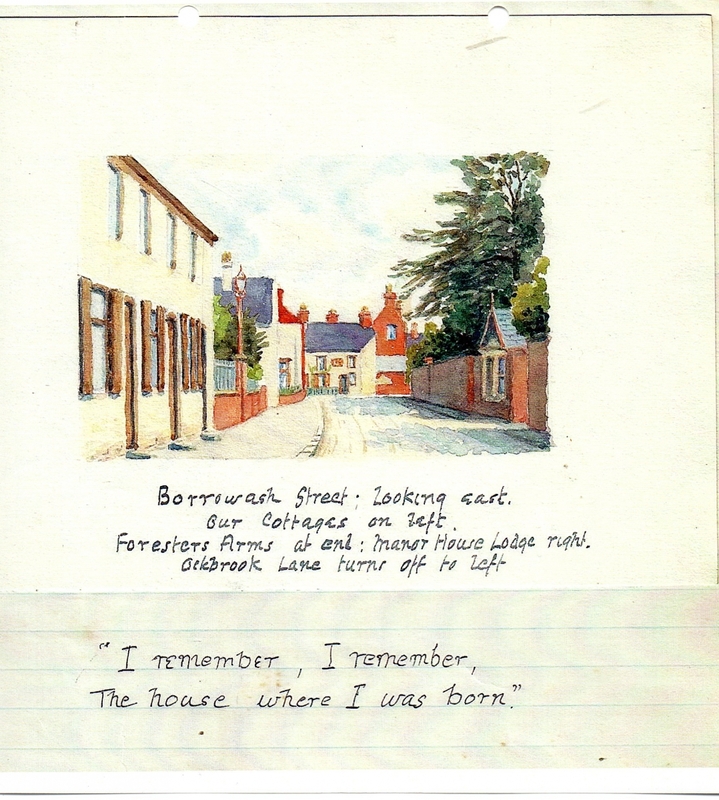 A possible clue from within the file was a detailed handwritten memoir by William Dyche (1863-1945) containing a wealth of detail about his Borrowash childhood. He turned out to be Professor Rutter’s grandfather and we are extremely grateful to Jack’s daughter, Margaret, who has allowed us to access the memoir; also the writings of her father and some historical family photographs. What follows is based on that material – however, the subjects of the Dyche family photograph album continue to preserve their elegant mystery. Margaret did not recognise a single one of them! William did not acquire his knowledge of the country from textbooks. He got it from Borrowash. Yet William acknowledges that some of the herbal remedies were effective and it was worth a try if you couldn’t afford the considerable fees of a professional doctor, nearly a century before the birth of the National Health Service. As always, it was a poorer life for poor people. 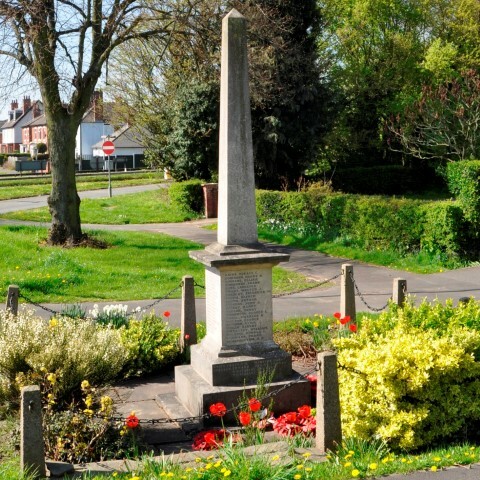 When William was little, Borrowash had no street lighting, shop window lights or roaring traffic and became ‘dark and silent’ after nightfall. Leisure time was perforce limited and revolved around two very different attractions; the various well-populated services and prayer meetings in the chapel for those who were Methodists – and alcohol in the public houses for those who were not. Otherwise, in the absence of any other entertainment, villagers went ‘neighbouring’ or sitting around one another’s hearthside fires in the rare absence of chores to do at home. Here they would chat about the goings-on of the Wesleyan preachers including Ockbrook resident, Tommy Jerram who lived in Ockbrook and quarrelled loudly with his wife Susan en route to chapel. ‘I have heard my father tell of one man who was given to what the other members regarded as ‘fine’ language and who regaled them more often than they liked with the story of his sudden conversion. ‘Howbeit the most High dwelleth not in temples made with hands; as saith the prophet. Heaven is my throne and earth is my footstool: what house will ye build me? saith the Lord: or what is my place of rest?’ Acts 7: 48-49 King James Version. within the confines of the Methodist chapel building. It was an authentic country life, lived by country people – ‘warts and all’. To be my future home? Oh Lord! Oh Christ! Save me! A warder’s duty that was not a source of humour, grim or otherwise, was that of staying with convicted murderers in the condemned cell. These men were not allowed a moment’s solitude and were accompanied by two warders night and day. The thought of the condemned cell loomed vividly in the minds of the children and one night William even dreamt that he was the condemned man himself. On some occasions the occupant of the cell was reprieved but this was unusual. For Jabez and his family it must all have seemed a world away from the freedom of country life in Borrowash. The insurgents were to be disappointed; nobody joined them and instead ‘they were tried in Derby, found guilty, hanged for half an hour, cut down and then beheaded.’ A riot then ensued and the mob was chased by the dragoons. It was to be the last public hanging for high treason in England before World War 1. School life in general was extremely rough and ready and as well as individual scraps between boys, organised fighting between different schools was common. ‘Weapons’ were forged out of sticks, stones and cabbage stalks and after one bout in 1870, William remembers the entire school being kept in until after six o’clock as a disciplinary measure. He began to enjoy study for its own sake, do well in examinations and win prizes. His future course in life was now set. Jabez in particular, became disillusioned with the behaviour of a professional he had formerly admired but stood his ground and insisted upon William receiving the money owed. However, the years of William’s apprenticeship were to feature annual battles for fair payment which must have been extremely wearing; especially when combined with the long hours, onerous duties and daily battles involving keeping discipline and instilling respect. Above all, William took intense pleasure in his father’s pride. Jabez had been a diminished and saddened man since leaving his farm and having to take a job in the hated gaol. Now his son was on his way to a very different type of life. For William, it was simple. His aim was to restore the family fortunes – and he did, overcoming the next hurdle – the Queen’s Scholarship Examination for entrance to the Wesleyan Training College in London and a distinguished career as a teacher and headmaster was then his. While William’s adult life was to be elsewhere, Borrowash remained central to the lives of his original family. His mother Hannah and siblings Amy and John moved from Derby into the original Dyche cottage to care for Jabez’ father, John, after his wife, Grace died in 1873. John’s sister in law, Sarah established herself in the cottage as housekeeper and later, tried her hand at business by opening a grocery shop in one of its rooms. She was assisted by Hannah and William’s sister, Amy, who lived in the cottage and ran the shop until within a couple of years of her death. The name of Amy Dyche is still associated with Borrowash and she became renowned for her bottles of delicious sweets. Professor Rutter remembers visiting Great Aunt Amy in her cottage in the company of his Grandfather, William, and describes a rather basic interior with no bathroom and an outside lavatory. After William death in 1945, the cottage went to his daughter, also called Amy, but she could not afford to keep it and the Dyche family home passed out of the family. Based upon the trough, William Dyche thought that the original Dyches must have been German peasants who had arrived in England as the servants of rich families, to coincide with the arrival of William 111 of Orange ( in 1688) or George 1 of Hanover who arrived in 1714. His rather original theory is that when spoken to by English people and asked to give their name, they pointed at themselves and simply said ‘Deutsch, Deutsch.’ This is far preferable to the other explanation that Dyches were simply people who lived by dykes and ditches – and as lover of Germany, in particular, a fan of Berlin, I have decided to believe it! As for the subjects of the photograph album, who they are and where they came from remains as much a mystery as ever. Yet in the absence of anything or anyone to identify them, they remain captured in a moment of time, forever young, forever happy with no past to regret or future to dread. Somehow, in an uncertain 21st century world of change and flux, I find that fitting – and oddly satisfying. What an amazingly detailed story. Not only is it a great read, but it’s so appropriate that this well researched wide ranging personal back story adds so much to the Unexamined Lives project and our understanding of life in the village. Congratulations.